Home > Training > Puppy > How Much Exercise Does A Puppy Need? Just like humans, puppies need exercise to feel better (both mentally and physically) and maintain their overall health. The amount of recommended exercise varies depending on your dog’s age, breed and medical condition. It’s important to be consistent with your exercise for puppies and to exercise them daily. Keep in mind, a bored puppy can become a mischievous puppy. Letting her expend that pent up energy is not only healthy for her but also good for you since you may have less “orneriness” to deal with (this isn’t a guarantee). We suggest checking with your vet before implementing any of the tips or recommendations in this article. 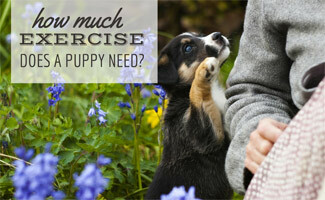 What’s the proper puppy exercise amount? 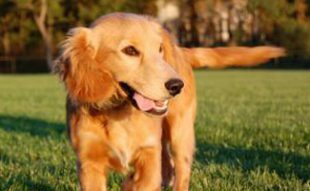 According to the U.K. Kennel Club, over exercising a puppy can lead to damage to her developing joints, which causes early arthritis. So, it’s important to find a balance of enough exercise but not too much. A common rule is five minutes of exercise per month of age, up to twice a day. For example, if your puppy is three months old you can exercise her for 15 minutes up to twice a day. Follow this rule until your puppy is fully grown. Once your dog is fully grown, she can exercise for longer. One thing to keep in mind with your dog’s exercise is that she needs to explore new environments and interact with other dogs. Try taking her to a park or on a hike when you have more time. Socializing your pup with other dogs is also a good way to develop a well-adjusted personality and attitude towards other pets. Taking your dog to new places to meet new friends is a great way to teach them flexibility in dealing with new situations. Your dog will also appreciate the new space, and you’ll have fun watching her experience the outdoors. Need some exercise ideas besides walking puppy? 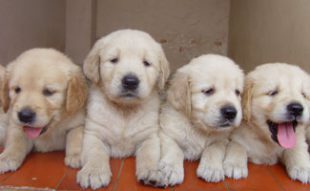 Below is a list for you to consider asides from puppy walking. Some dog breeds require more exercise than others so make sure you do your research before you adopt. If you have one of these breeds, make sure you’re giving your dog plenty of exercise. 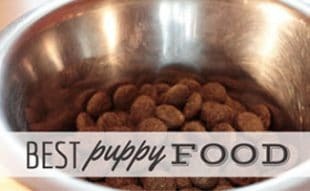 Getting ready for bed and your pup is full of energy? 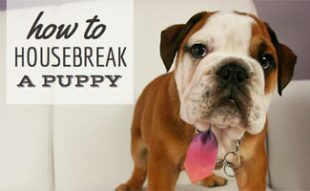 Try these tips in this video to wear out your dog. Do you feel guilty about having your dog in her crate for too long a time period? Consider a playpen for your puppy to explore and stretch her legs out a little more than the crate allows. Check out our pick for Best Puppy Playpen. What’s your favorite way to exercise your dog? Thanks for explaining how often a puppy should be exercising. It’s nice to know that some breeds would need more exercise, so you should research them before you get one. It also sounds important to know in case a certain breed would need different care in order to stay happy and healthy. Glad you found it helpful, June! I find it especially difficult to get my dog proper exercise right now in the colder months and since we live in the city in a smaller condo I’m worried about his health. Will try some of these tips though, because nor she or I want to go out in the freezing weather more than necessary. I have the same problem. But the way I get around it is doing the stairs in the building – every condo has 1 or 2 stairwells to go up and down in the event of a fire. I take my two puppies down then back up again. I live on the 13th floor. At first they didn’t like it but you have to bring lots of treats with you… oh and a poopy bag and a paper towel in the event of accidents 🙂 I started just going up the stairs only first few times as they were a bit timid at first. It’s also way easier on them to go up then down until they get the hang of it. If you still feel your dog has a bunch of energy go back down the elevator and back up you go. Good exercise for you and your pup. I hope that helps!